Enjoy With Almond Milk, Coconut Yoghurt Or On It’s Own ! Over the last few years the Paleo (Paleolithic) Diet has become increasingly popular amongst people who not only want to lose weight, but also those who are concerned about the vast amount of chemicals and additives that are found in the foods that are available today – and want to eliminate them from their diets. It can also be known as the Stone Age diet, the Primal diet or even the Caveman diet. Basically, a Paleo diet is eating the same types of foods as they did back in the caveman era, such as fruits, vegetables, seafood, nuts, seeds, meat, poultry and eggs. This diet is high in protein which is essential for burning fat and building lean muscle. And instead of fibre being obtained from whole grains, it is found in a whole variety of different fruits and vegetables. We can basically get all the nutrients that our bodies require from seafood, animal and plant based foods. People who live by the Paleo diet are encouraged to avoid peanuts, dairy products, potatoes, refined sugar, salt, alcohol, grains and processed foods. Even though grains are a major part of the food pyramid that we all grew up with, they contain anti-nutrients which can irritate the gut and cause chronic inflammation. They can also prevent the body from properly absorbing the nutrients that we do need. Many modern health issues start from the foods that we eat and a Paleo diet can have some massive benefits when it comes to our health. What many people don’t know, is that this way of eating can also prevent a whole range of serious health problems, including diabetes, high blood pressure, osteoporosis, strokes, migraines, asthma and even cancer. It can also greatly improve mental clarity, boost your mood and help those who suffer from sleeping problems. The Paleo diet also does wonders in terms of beauty and appearance. People who cut out the harmful additives found in today’s diet experience decreased bloating, clearer skin and a noticeable increase in energy – which is a great motivation to start exercising. The Paleo diet has often been scrutinized as being a fad, but in actual fact, it is a lifestyle that has been around for many years. It is simply eating good quality, healthy foods and staying clear of the unhealthy Western diet that is so abundant today. While it may seem like a huge challenge to cut out such a wide range of foods from our everyday meals -the results really do speak for themselves. Why not give it a try, you have nothing to lose – but there is a whole new quality of life to gain! If the Paleo Diets has worked for you, look into trying other ways of eating like Intermittent Fasting and Ketogenic Diet. 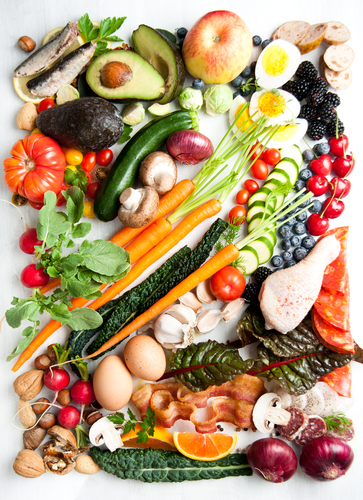 These diets and ways of eating go hand in hand with the Paleo Diet.